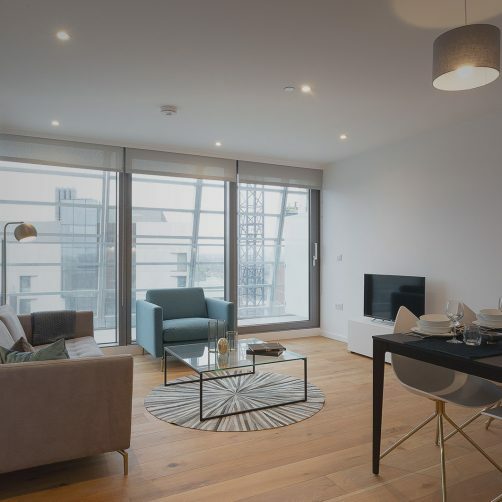 Stortford Interiors were appointed by Sir Robert McAlpine to deliver a high quality CAT A commercial scheme at the redevelopment of London’s Fruit & Wool Exchange, Spitalfields. 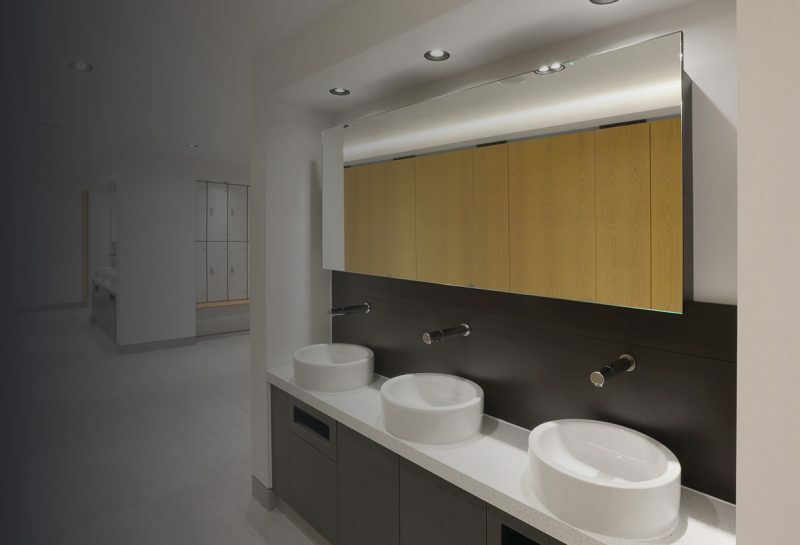 The high profile project for developer Exemplar represented one of the largest construction assignments in London and delivered 320,000 sq ft of new grade A space including prime office, retail, restaurant, café and community facilities. 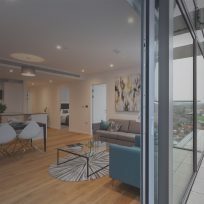 Spread over an expansive area of 8 Floors (including two basement levels) Stortford Interiors and its Joinery division Parkrose captured a wide architectural scope. 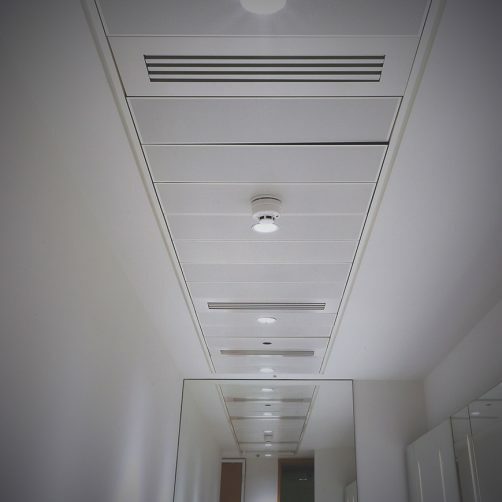 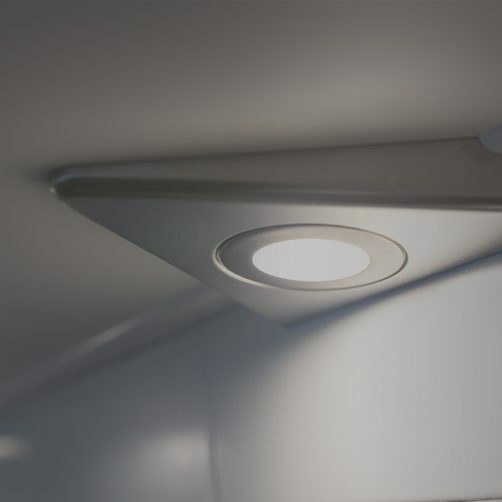 The scheme included a voluminous drywall package to core and reception areas in addition to MF ceilings with light troughs and feature detailing. 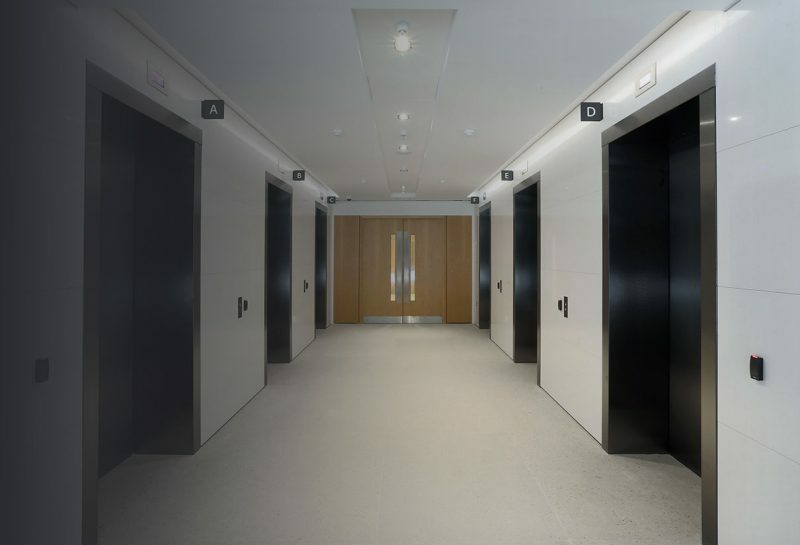 Soffit insulation, metal riser doors and an extensive fire stopping package was also captured within the remit. 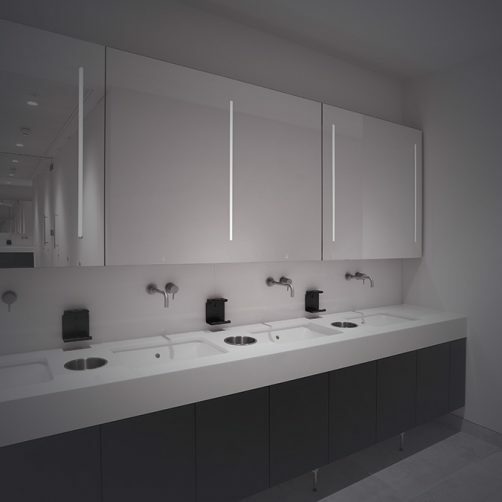 In addition to this core package Parkrose delivered a broad architectural fit-out scope to Washroom, Lift Lobby and Reception Areas. 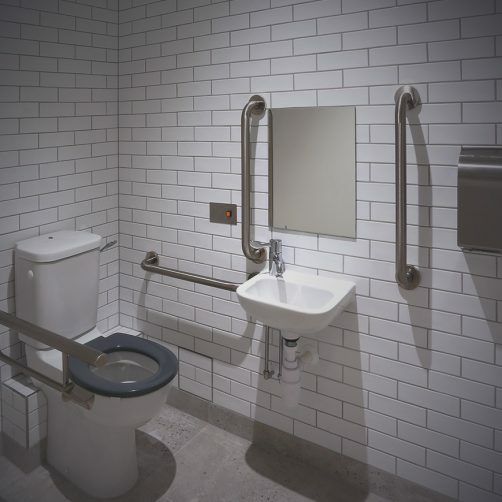 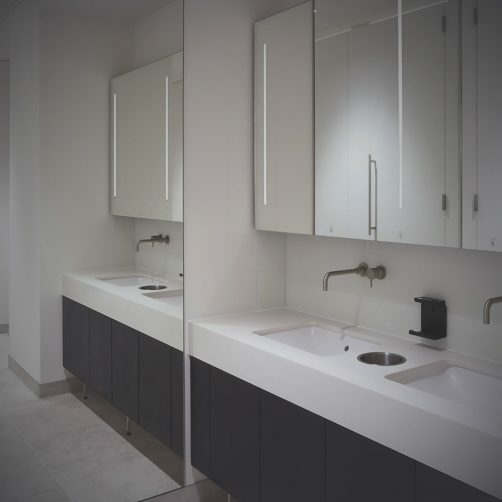 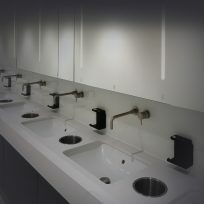 The package encompassed WC cubicles, back painted glass IPS ducting, stone quartz vanity troughs and feature goal-posts, raised access floors and ceramic tiling. 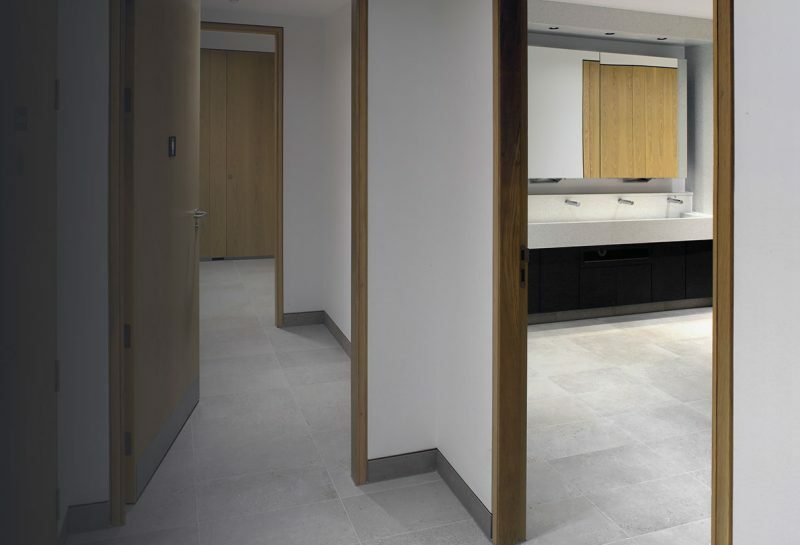 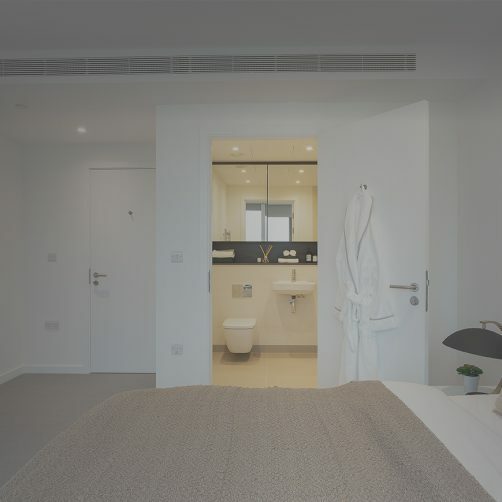 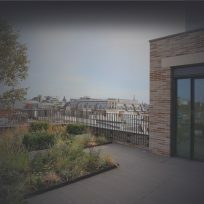 The holistic scope also included timber & metal feature panelling and soft-floor finishes to common areas and both metal and veneered timber doorset packages. 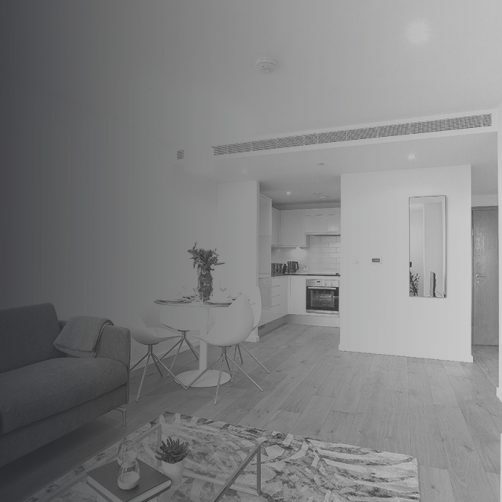 The scheme once again permitted Stortford Interiors to demonstrate its ability to deliver a high volume, high quality broad architectural package and satisfy exacting and demanding Client expectations.